The Vizz conquers any situation by combining three beam profiles into a compact, self-contained light. One Maxbright LED provides a long-throw, 165 lumen white spot beam. Two white Ultrabright LEDs provide a close-range flood beam. These LEDs are dimmable so users can choose the exact output for their needs. Two red Ultrabright LEDs provide a close-range flood beam while preserving night adjusted vision and keeping a low profile. Regulated circuitry makes for consistent power output over battery lifespan. Vizz is also lithium compatible for reliable operation in a wider temperature range. 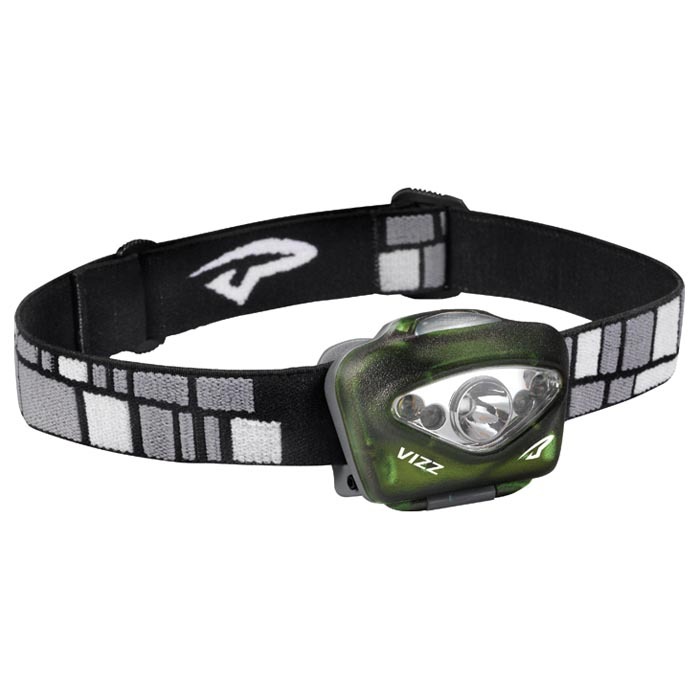 This headlamp also has a built-in battery power meter.